I can get planes working and as some use scripted weapons they work as well. Can't get bombs working but aa missiles and a2g missiles work fine. righy Still struggling with pilot positions. Just can't nail the proxies. Its a challenge but then that's fun right? As soon as I have something concrete I'll post here. Will there be any fixed wing aircraft in the first release of the Alpha? Give me 24hrs from release and the Kiowa will be up, can't guarantee weapons but it will be in game - this all depends on flight model implementation etc. Iran unveils new fighter jet - Are you watching BIS? Maybe it's old age or my time away from the UK, but you do realise in time that all media outlets have messages to tell, the BBC have been very one sided throughout this conflict. 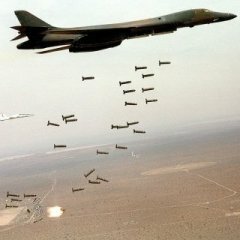 Not saying too much but, since a few of the Air bases were overrun suddenly we started seeing cluster bombs all over the news? I try to got my news from several news sites and read between the lines, without direct access it's insane to trust one source or sources from one country. Israel - Gaza - What should we do if anything. In the next few days it really looks like open conflict will take place again in Gaza. http://rt.com/news/first-israel-gaza-idf-706/ . http://www.bbc.co.uk/news/world-20336811 What should we do? is it up to us to do anything?